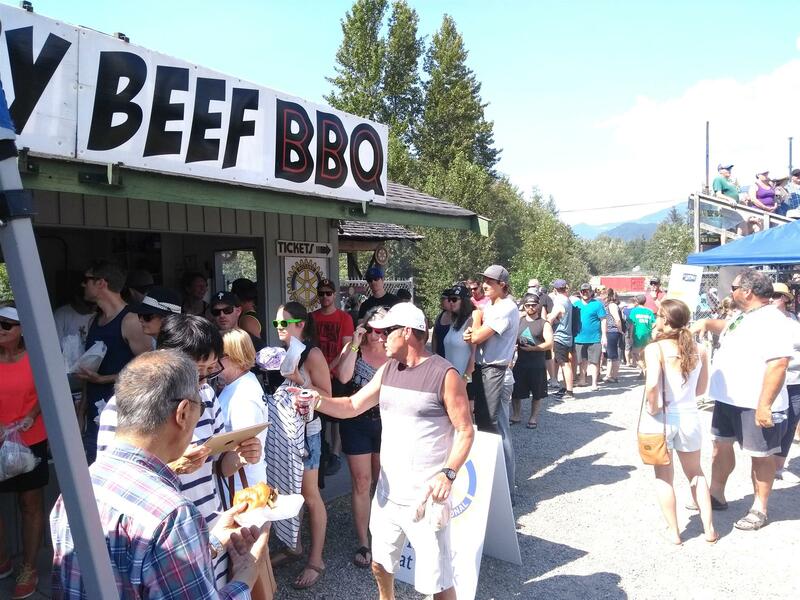 On August 4&5 , 2018, we held another successful Rotary Beef BBQ during the Squamish Days/Loggers Sports Festival. We've been doing this for over 50 years and it is always a crowd favourite. 1600 lbs of prime Canadian beef is slow roasted over an alder fire, The Rotary Beef on a Bun is then served on a brioche bun with fried onions and condiments. Sooo GOOD! Over 3000 sandwiches were served up over the weekend with all proceeds going towards projects in our community.